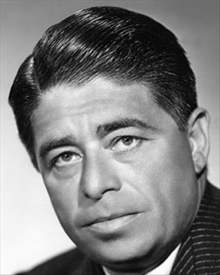 Alfred Newman (March 17, 1900 – February 17, 1970) was an American composer, arranger, and conductor of film music. From his start as a music prodigy, he came to be regarded as a respected figure in the history of film music. He won nine Academy Awards and was nominated forty-three times. In a career spanning more than four decades, Newman composed the scores for over 200 motion pictures. Some of his most famous scores include Wuthering Heights, The Hunchback of Notre Dame, The Mark of Zorro, How Green Was My Valley, The Song of Bernadette, Captain from Castile, All About Eve, Love is a Many Splendored Thing, Anastasia, The Diary of Anne Frank, How The West Was Won, The Greatest Story Ever Told, and his final score, Airport, all of which were nominated for or won Academy Awards. Newman was also highly regarded as a conductor, and arranged and conducted many scores by other composers, including George Gershwin, Charlie Chaplin, and Irving Berlin. He also conducted the music for many film adaptations of Broadway musicals (having worked on Broadway for ten years before coming to Hollywood), as well as many original Hollywood musicals. He was among the first musicians to compose and conduct original music during Hollywood's Golden Age of movies, later becoming a respected and powerful music director in the history of Hollywood. Newman and two of his fellow composers, Max Steiner and Dimitri Tiomkin, were considered the "three godfathers of film music". Newman was the eldest of ten children, born in New Haven, Connecticut, to Jewish parents who emigrated from Russia shortly before his birth. 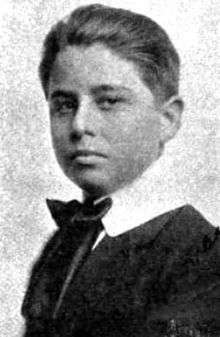 :27:68 Although many sources show a birth date of 1901, the musicologist Fred Steiner established that Alfred was actually born in 1900. His father, Michael Newman, was a produce dealer and his mother, Luba, took care of the family. Her father had been a cantor in Russia, which contributed to her love of music. She sent Newman, her first born, to a local piano teacher to begin lessons when he was five. At one point, in order to take lessons, he walked a ten-mile round trip. And with barely enough to live on, his parents once had to sell their dog to make ends meet. By the age of eight he had become known locally as a piano prodigy. His talent led virtuoso Ignacy Jan Paderewski to arrange a recital for him in New York, where Sigismund Stojowski and Alexander Lambert, at different periods, took him as a pupil. :27 To save Newman commuting cost, Stojowski convinced a ticket inspector to let young Newman sometimes travel free. Stojowski offered him a scholarship, after which Newman won a silver medal and a gold medal in a competition. He also studied harmony, counterpoint and composition with Rubin Goldmark and George Wedge. By the time Newman was twelve, however, his parents' meager income was not enough to support his large family, which led to him searching for ways to earn an income from music to help his family. He then began playing in theaters and restaurants, including the Strand theater and the Harlem Opera House, with a schedule that often had him playing five shows a day. :27 During the shows, he typically accompanied singers as pianist. Grace La Rue, star of one the shows, was taken by Newman's talent and signed him on as her regular accompanist. He began traveling the vaudeville circuit with La Rue's show when he was 13, where she billed him as "The Marvelous Boy Pianist". :69 While on tours, he was sometimes allowed to conduct the orchestras. :27 This led to him making conducting his career goal, an ambition furthered by William Merrigan Daly, an experienced music director and composer who taught Newman the basics of conducting. :27 By the time he was fifteen, he was regularly conducting performances for matinee shows. :27 Cincinnati Symphony conductor Fritz Reiner was so impressed by Newman, he invited him to be a guest conductor. When he was nineteen, he began conducting full time in New York City, the beginning of a ten-year career on Broadway as the conductor of musicals by composers such as George Gershwin, Richard Rodgers, and Jerome Kern. :69 He conducted George White's Scandals in 1919, Funny Face in 1927 and Treasure Girl in 1929. Newman said he was always happiest as a conductor: "I studied music composition and counterpoint because I wanted to be a good conductor." Soon after Newman arrived in Hollywood in 1930 and finished directing the score for Reaching for the Moon, producer Samuel Goldwyn offered him a contract to continue on as a movie composer. His first complete film score was for Goldwyn's Street Scene in 1931.:69 The score mirrored the busy and frantic sounds of everyday life in New York's Lower East Side in the 1930s. He later used that music theme in other films, such as How to Marry a Millionaire in 1953, which opens with him conducting an orchestra. The theme is also used in Gentleman's Agreement, I Wake Up Screaming,The Dark Corner, Cry of the City, Kiss of Death, and Where the Sidewalk Ends. In 1931 Charlie Chaplin had him to orchestrate his film, City Lights, and used Newman again for Modern Times in 1936. 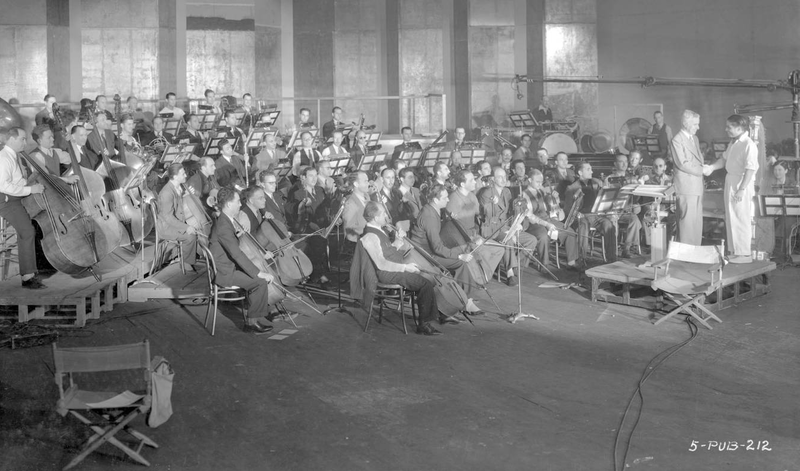 Hollywood reporter Sidney Skolsky observed them working together as Newman conducted the 65-piece orchestra. He described Newman's ability to carefully synchronize the music to scenes, such as the factory sequence, where Chaplin throws the place into confusion. The music was timed to Chaplin's movements. Newman became Goldwyn's favorite composer, while his style evolved with each new film he scored. :74 He scored numerous adventure stories and romances, historical pageants and swashbuckling epics, as did his contemporary, Erich Wolfgang Korngold. :75 Newman also began taking lessons with Arnold Schoenberg, who emigrated to the U.S. from Europe in 1934. He received his first Academy Award for Alexander's Ragtime Band in 1938. In 1939, he wrote the music for Goldwyn's Wuthering Heights, starring Laurence Olivier and Merle Oberon. His score was unique in the way it included different musical themes and created different motifs for the key actors, which helped frame the action. The theme for Cathy, for instance, consisted of a glowing pastoral with strings, while Heathcliff's theme, in contrast, produced a darker, more serious image. Also in 1939, he composed the music for Gunga Din, and Beau Geste. Among Newman's specialties were films with a religious theme, although he himself was not known to be religious. :80 Among the films were The Hunchback of Notre Dame (1939), starring Charles Laughton, and in subsequent years, The Song of Bernadette (1943), The Robe (1953), and The Greatest Story Ever Told (1965). In 1940 Newman began a 20-year career as music director with 20th Century-Fox Studios, composing over 200 film scores, nine of which won Academy Awards. He wore many hats at the studio depending on the need, acting as composer, arranger, music director and conductor for various films. However, he said that he preferred arranging and conducting over composing because the latter was lonely and demanding work. The demands of work contributed to his heavy smoking throughout his life, eventually leading to his emphysema. He was noted for developing what came to be known as the Newman System, a means of synchronizing the performance and recording of a musical score with the film, a system which is still in use today. Newman's scores were developed around the overall mood of each film. He also tailored specific themes to accompany different characters as they appeared on screen, thereby enhancing each actor's role. The effects of this style of music created a forceful but less jarring score which connected the entire story, thereby keeping the film's theme more easily understood by viewers. He composed the familiar fanfare which accompanies the studio logo at the beginning of Fox's productions, and still introduces Fox pictures today. In 1953, Newman wrote the "CinemaScope extension" for his fanfare. This fanfare was re-recorded in 1997 by his son David, also a composer, and it is this rendition that is used today. The Song of Bernadette (1943) is said to be one of Newman's loveliest scores, recorded over a four-week period with an 80-piece orchestra. Newman used three different motifs to color different issues during the film. Among them was a brass chorale to represent Mother Church,:80 while the theme representing Bernadette used strings to support her character's warmth and tenderness. :81 Newman's interpretation added the sound of the wind and blowing leaves to give the music an ethereal quality that augmented Bernadette's visions. In the 1940s Newman scored a number of films related to World War II. Among those were A Yank in the R.A.F. (1941), To the Shores of Tripoli (1942) and Twelve O'Clock High (1949), which one historian says is Newman's best dramatic opening theme for a movie. :117 Newman also composed or music directed the score to some of Frank Capra's Why We Fight series of films, including Prelude to War (1942) and War Comes to America (1945). He created the music for The All-Star Bond Rally (1945), a documentary short film featuring Hollywood stars promoting the sales of War Bonds. The previous year he scored another documentary, The Fighting Lady (1944). He often studied period music and assimilated it into his scores. For films such as How Green Was My Valley (1941), for example, he incorporated Welsh hymns. For How The West Was Won (1950), he took folk tunes and transformed them into orchestral/choral works of tremendous power. And for The Grapes of Wrath (1940), he brought in the folk tune favorite "Red River Valley" throughout the score. His skill at incorporating familiar traditional music into modern scores was not limited to Western themes, however. During portions of the score for Love is a Many Splendored Thing, for example, he created numbers with a distinctly Chinese sensibility, both with instruments and melodies. Generally, however, he would create his own original melody and turn it into something haunting and memorable, as he did for The Robe (1953). In 1947 he composed the music for Captain from Castile, which included the famous "Conquest march", an impassioned score for the Spanish conquistadors. :75 The march was adapted by the University of Southern California (USC) as the official theme song for their sports teams, the USC Trojans. Newman also orchestrated and conducted the music for a biopic about the life of American composer John Philip Sousa, Stars and Stripes Forever (1952), a film which includes numerous marches for which Sousa is best known. Newman received his eighth Oscar for The King and I in 1956. In 1959 Newman composed the score for The Diary of Anne Frank. Although based on the true-life tragic story of a young girl during World War II, Newman's score focuses on her optimistic personality, which as her diary attests, she continued to believe that people were good at heart. :87 In contrast to Newman's use of uplifting violins and a hopeful old European sound for the girl, the score for the Nazis was an "oppressive march in half time" to create a fearsome effect. Music historian Christopher Palmer says that the score is one of Newman's finest, which because of its style, elegance and integrity, the emotions portrayed by the actors can be physically "felt" by the audience. :88 It was nominated for an Oscar. Newman's final musical score under his Fox contract was The Best of Everything (1959), and after leaving Fox in 1960, Newman freelanced for the remainder of his career, writing the scores for such films as MGM's How the West Was Won (1962), which some consider his most familiar and best score. It is listed on AFI's 100 Years of Film Scores. That film and The Greatest Story Ever Told (1965), were nominated for an Oscar. Newman remained active until the end of his life, scoring Universal Pictures' Airport (1970) shortly before his death. Newman died on February 17, 1970, at the age of 69, at his home in Hollywood, from complications of emphysema. Arriving in Hollywood just as talking pictures were getting more technically sophisticated, he contributed to creating the musical sound of the era and was at the heart of the studio system at its peak...The passing of Newman was symbolic of the end of a golden age. He was awarded Oscars for Alexander's Ragtime Band (1938), Tin Pan Alley (1940), The Song of Bernadette(1943), Mother Wore Tights (1947), With a Song in My Heart (1952), Call Me Madam (1953), Love Is a Many Splendored Thing (1955), The King and I (1956) and Camelot (1967). He composed the familiar fanfare which accompanies the studio logo at the beginning of Fox's productions, and still introduces Fox pictures today. A segment of Newman's score for David O. Selznick's The Prisoner of Zenda (1937) became the standard music which accompanied the Selznick International Logo when introducing his films. At the University of Southern California, the 280-seat Allan Hancock Auditorium was renovated and re-dedicated as the Alfred Newman Recital Hall in 1999. Newman was one of those rare Hollywood souls who generously nurtured the talents and careers of many other men who became legends in the field of film composition—including Bernard Herrmann, David Raksin and John Williams. While a composer, music director and conductor, he often contributed to the scores of others without credit. When he wasn't working on a particular movie, he was often approached by studio production heads needing advice, which he freely gave. Other musicians were constantly exploring new ideas or perfecting older techniques, which required sharing their knowledge with each other. Newman, during his years as a music director, sometimes went further: if one of his composers was stumped for a suitable melody, for instance, Newman would sometimes write a few bars on paper and hand it to the composer, suggesting he try it out. As a music director, it was Newman's job to find and select suitable composers for various films. When he saw a composer's potential, he also had the power to sign them to long term staff contracts. Music historian Robert R. Faulkner is of the opinion that had Newman not been music director at Twentieth Century Fox, composers such as Bernard Herrmann, Alex North, and David Raksin, all of whose music was somewhat radical, might never have had such major careers in Hollywood. The legacy of Alfred Newman and his influence on the language of music for the cinema is practically unmatched by anyone in Hollywood history. As an executive, he was hard but fair. As a mentor to his staff he was revered. The orchestras under his baton delighted in his abilities as a conductor. The music he himself composed, often under extreme emotional duress, is among the most gorgeous ever written. […] Not big in physical stature, he was a giant in character, a titan in the world he loved and dominated. He was a true musical force, and one that cannot in any sense be replaced. In 1999, the United States Postal Service issued a stamp in his honor. Newman won nine Academy Awards, the third highest number of Oscars ever won by an individual (Walt Disney won twenty-six, Cedric Gibbons won eleven) and was nominated for forty-five, making him the most nominated composer in Oscar history until 2006, when John Williams matched the record. Forty-three of Newman's nominations were for Best Original Score (making him the second most nominated in that category after John Williams) and two were for Original Song. Newman has a star on the Hollywood Walk of Fame at 1700 Vine Street. He married Martha Louise Montgomery (born December 5, 1920, Clarksdale, Mississippi - died May 9, 2005, Pacific Palisades, California), a former actress and Goldwyn Girl; they had five children. His brother Lionel Newman scored three dozen films and several TV series, adapting and conducting scores for hundreds of other films. His brother Emil Newman was music director for over eighty films. His son David Newman has scored nearly one hundred films, including The War of the Roses, Hoffa, The Nutty Professor, Anastasia, Galaxy Quest, and Ice Age and has received an Academy Award nomination. His son Thomas Newman has scored over seventy-five films, including Little Women, The Shawshank Redemption, Unstrung Heroes, American Beauty, Road to Perdition, Finding Nemo, Lemony Snicket's A Series of Unfortunate Events, The Good German, WALL-E, Skyfall, Saving Mr. Banks and has received thirteen Academy Award nominations. His daughter Maria Newman is an eminent musician and composer. His nephew Randy Newman is a two-time Academy Award winner, noted not only for his film work but also for a series of popular albums as a singer/songwriter. His grandnephew Joey Newman has scored many TV series, films, and video games. His granddaughter Jaclyn Newman Dorn is a music editor, and won a Golden Reel Award for 30 Days of Night: Dark Days, and got another nomination for Burlesque. ↑ Wilcox also attributed his talent to his ethnicity, adding, "The Russian Jews are people of marvelous talent, indeed all the Hebrew races, wherever they are found, seem to abound in talent." ↑ "Nominee Facts - Most Nominations and Awards", Academy of Motion Picture Arts and Sciences; retrieved November 30, 2015. ↑ "Alfred Newman (1901-1970) - head of a musical dynasty", mfiles U.K.
↑ "How the west was Won (1962) Trailer"